Gold Coast: India swept the table tennis team events of the Commonwealth Games as the men matched the women to seal a memorable gold with an emphatic 3-0 win over Nigeria in the final. It is the first time since the racket sport's induction into the Commonwealth Games program that India has topped both categories. 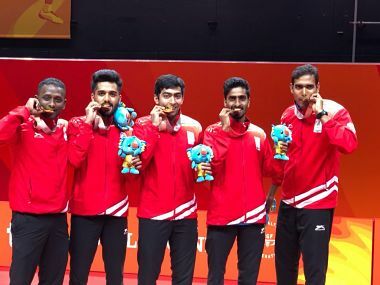 After Manika Batra fired India to a historic triumph over Singapore on 8 April, the Sharath Kamal-led men's outfit too beat the team from the city state 3-2 in the semifinals, played earlier on 9 April. With individual and doubles medals still on offer, India's performance is already a marked improvement from its disappointing showing in Glasgow four years ago when it just managed just a silver in men's doubles. It was none other than Nigeria who beat India for bronze in the previous edition. Kamal, arguably India's finest ever player, was also part of the men's team which won the gold in the 2006 Melbourne edition. India's unprecedented effort at the Gold Coast Games is also a fair reflection of the sport's fast improving standard in the country. As many as six players are in the top-100 of the men's world rankings and two in the women's standings. Monday's final against Nigeria was rather straight forward for the men as compared to the semifinal against Singapore, against whom they had to work much harder. Kamal, who has four CWG gold medals to his name now, set the ball rolling by beating Bode Abiodun in the opening singles. The experienced Indian was sluggish to start with, losing the first game. From the second game onwards, 48th-ranked Kamal was his usual self, unleashing forehand drives on either side of the table. His power and range of strokes was too hot to handle for the Nigerian as Kamal completed a 4-11, 11-5, 11-4, 11-9 win. 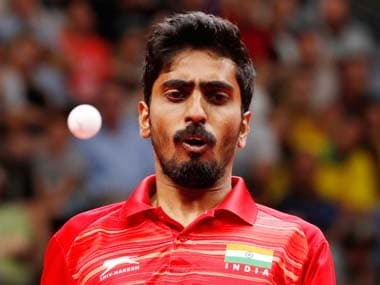 Just like his senior teammate, G Sathiyan too fumbled in the first game but bounced back in style to outplay 2002 CWG singles gold medallist Segun Toriola 10-12, 11-3, 11-3, 11-4. 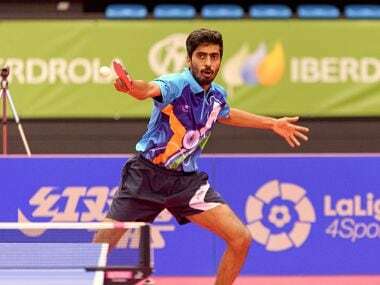 India was now one step away from the gold and 46th-ranked Sathiyan teamed up with Harmeet Desai to cross the finishing line. 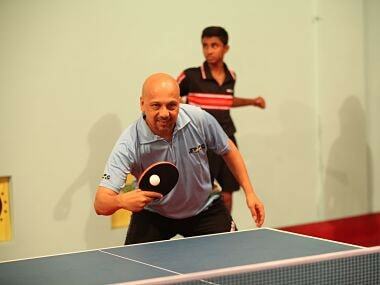 The Indian duo defeated Abiodun and Olajide Omotayo 11-8, 11-5, 11-3 to complete a memorable triumph. The Indian side also benefited from the absence of world no. 26 Aruna Quadri, Nigeria's highest-ranked player. Toriola is ranked second highest at 166.